Your post just reminded me that I need to get The False Prince on my "Missed in 2012; Read in 2013" list. 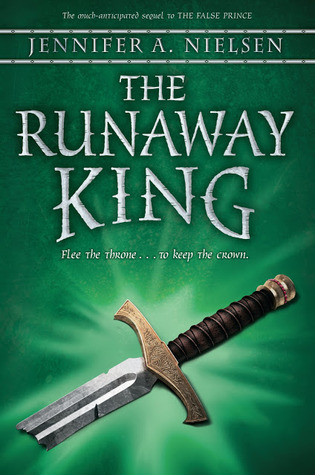 I think the book sounds so awesome and I want to get caught up before the second book releases. 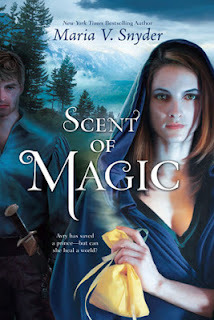 Hm, I've read Scent of Magic now and I didn't love it nearly as much as the first book. I do like them together too :( But I didn't mind them apart. It was ok. I didn't like how Mary Sue-ish Avery was though. I got my Pandora a few days ago too! I'm so excited to read it!!!! Me too!! I'm convinced Joan and Suzanne can write nothing but fantastically adorable books. Oh my gosh, if your sister loves The Godfather, then she definitely needs to check out The Fourth Stall. They're so good. I've heard so much about Jennifer Nielsen's series. 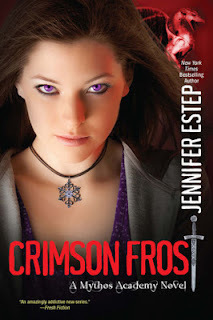 That and Jennifer Estep's series. If the Mythos Academy series is your comfort read, maybe it's time for me to get moving on it! Also didn't know Lisa Bergren had released another story set in that world. Interesting. Looking forward to reading your thoughts on these books. Enjoy them :)!! 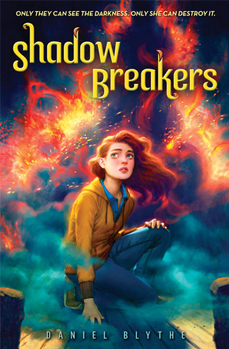 Doesn't Shadow Breakers look cool? I haven't heard much about it, but I have high hopes. Aw, that is so nice to hear about the GG books and my review! Thank you :) I hope you enjoy them. They're very cute and consistently good. You were blurbed?!?!?! Of course you had to have a hard copy, then! OF COURSE YOU DID. No question. Oh, I read the first Fourth Stall book aloud to my class. They loved it! They've been begging me to read the second book, but I am EVIL. I told them I would get it for the classroom, in case they want to read it themselves, but I wouldn't be reading it aloud. 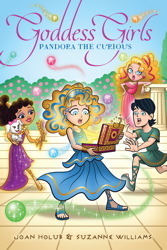 I also bought a boxed set of the Goddess Girls books from a Scholastic book club and one of my seven-year-old girls is devouring them. I even caught her trying to sneak one home in her backpack! I can really respect a student who loves books enough to steal them. All the same, I told her she can borrow books whenever she likes...as long as she asks first. :D Your comment is filled with so much win! 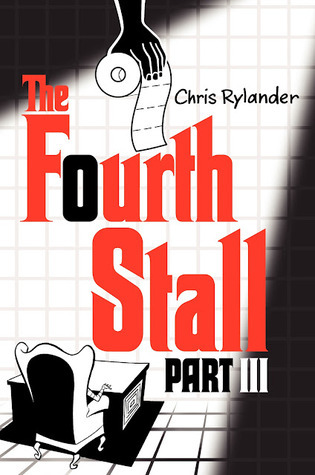 Can you record yourself reading The Fourth Stall? I want to hear if you did the voices. :P Did you tell them there is a part 3? I'm so happy they loved it. And YAYAYAYAYAY for Goddess Girls and stealthy readers absconding with copies!! 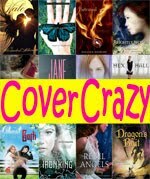 Oh my gosh...you got the new Jennifer Nielsen book? I should email Scholastic to see if I can get it. 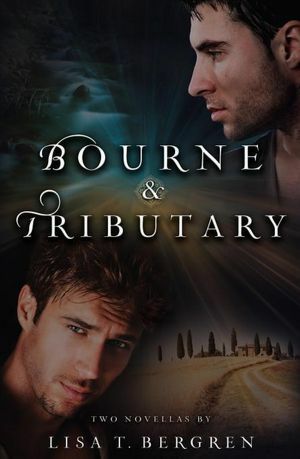 I may have to buy the Bourne/Tributary hard copy too. My other shelf copies are lonely without it! :) Lots of great books here, Small! 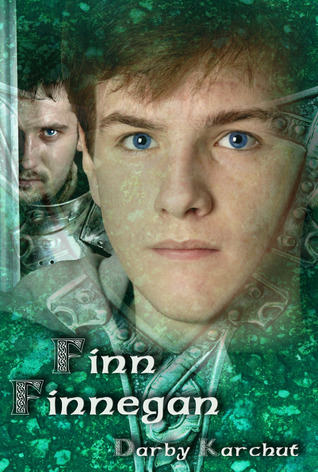 You MUST buy it, because you are blurbed on it too! And your blurb is all prominent at the top. Only downside: The book is just a tiny bit smaller than the others, thus ruining the perfect symmetry of the series on the shelf. Also, it's glossier than the others. And it was thanks to you that I started reading the Mythos series and it's as adorable as you've made it sound! I can't wait to read my copy of Crimson Frost as well. IT JUST SOUNDS SO AWESOME AND EPIC AND AHHHH. Dude, I've read Scent of Magic and WOW. It's not AS amazing as the first one, but it's still pretty awesome and I just cannot wait til the third one! Also, I *DIE*. 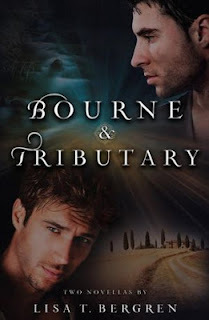 You have Bourne/Tributary! I neeeeeeed to get a paperback to complete my collection of this amazebeans series. So jealous. Yes! I was SO worried it had gotten destroyed in the hurricane, and I think it did too because our post office was condemned and everything in it was ruined. And if they had already dropped off the package on our doorstep, well, that would have been completely washed away. So I had to ask for a second copy and pray they still had copies to send. My fingers were cramping they were so tightly crossed. 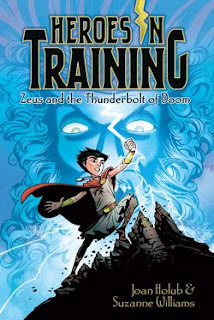 I LOVE hearing that about the Mythos Academy series! I think you're going to really love Crimson Frost. I hesitate to say this, because really all the books were great, but this might be my favorite so far. 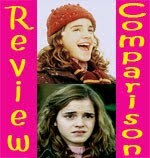 I agree, I didn't love Scent of Magic as much, but I still liked it. I'm so looking forward to The Runaway King. Enjoy your new books! Me too! Thank you! I really hope it lives up to the first book. 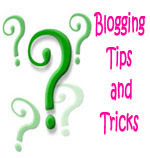 You were blurbed? Fabulous! Congrats! Awesome book, and I can't wait to read your reviews on them!